Blyth Valley Disabled Forum is celebrating its 34th Annual General Meeting. 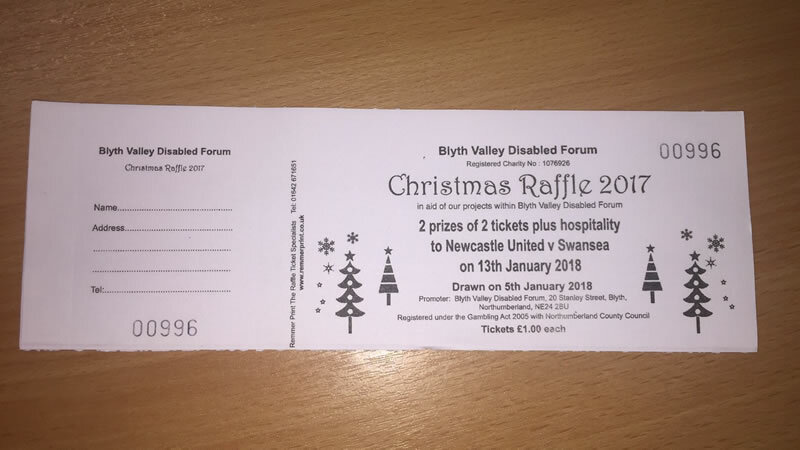 We have a raffle taking place to raise funds for keep all of the activities running for our projects within Blyth Valley Disabled Forum. The money raised will be put to good use within our projects for disabled children and adults. The money will enable our disabled patrons to take part in activities such as arts & crafts, football, ten pin bowling, swimming, youth clubs, etc. Tickets are available from our office at Stanley Street and cost £1 with 100% of the money raised going to the projects. Male carers required for full time positions to fulfil new contract obligations to a client with complex care requirements. Previous experience in care preferable but training can be provided. • Personal and oral hygiene. Applicants must be compassionate, have good interpersonal skills, strong verbal communication and listening skills, have good physical health and stamina to meet with extensive moving and handling requirements of the client. Applicants must also have a positive attitude, be encouraging, helpful, patient and detail oriented. Car driver preferable but not essential as the service is for two staff members. Further details available to successful applicants. Blyth Valley Disabled Forum is celebrating its 33rd Annual General Meeting. Current Midas preferred but training can be provided. Due to financial constraints the advice service will now operate as follows. From Monday the 11th April we regret that home visits and tribunal representation will no longer be provided. All advice services will continue as usual between the hours of 10:00am and 15:00 pm Monday to Friday by appointment only. To arrange appointments please telephone 01670 360927 during office hours. This year, the event takes place on Saturday 12 March and we at Tyne & Wear Archives & Museums would love you to get involved and visit one of our venues with your friends and family.